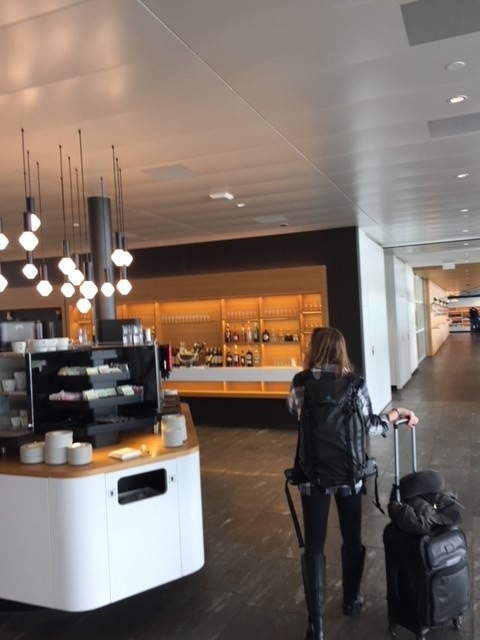 Our flight departed Zurich at 12:55 PM and I wanted to get to the airport with plenty of time to check out the Senator Lounge where our flight departed out of Terminal E. Another reason why I wanted to get to the airport early was to pick up some chocolate for the flight crew. Why you ask? Because my good friend and Swiss Captain said he would let our flight crew know we'll be on board the flight and also to give a gift to the crew as a way to say thank you. Treats for the flight crew! 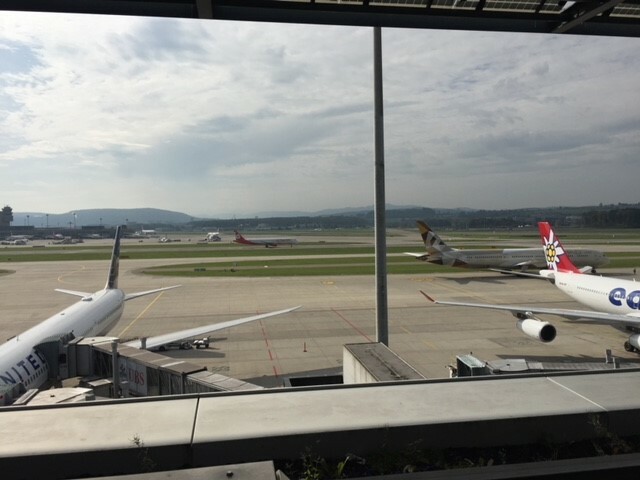 We got to the airport around 10:00 AM and once we picked up our gift for the crew, we made our way to Terminal E. Word of advice, don't waste anytime in the main terminal in Zurich if you fly out of Terminal E... the immigration line took well over 45 minutes alone. Not to mention the train ride to Terminal E took another 10 - 15 minutes. Needless to say, I was ready to get in the lounge and relax. Checking into the lounge was quick and efficient, as you'd expect from Swiss. The lounge had a very warm and welcoming feel to it with light wood being the major accent. Another major benefit the lounge had was a whisky club. I would have hung out there because of how awesome it looked inside, but I came here for one thing and one thing only... the outdoor seating area! Great looking bar to relax in! I went inside to check out the food and beverages the lounge offered. To my surprise, they have a made to order menu where I requested shells in marinara sauce. The food itself left a lot to be desired but the views made up for it! After we had our snack, it was time for us to leave the lounge to head to our gate and go through the secondary screening. This was by far THE BEST lounge I've stayed in. 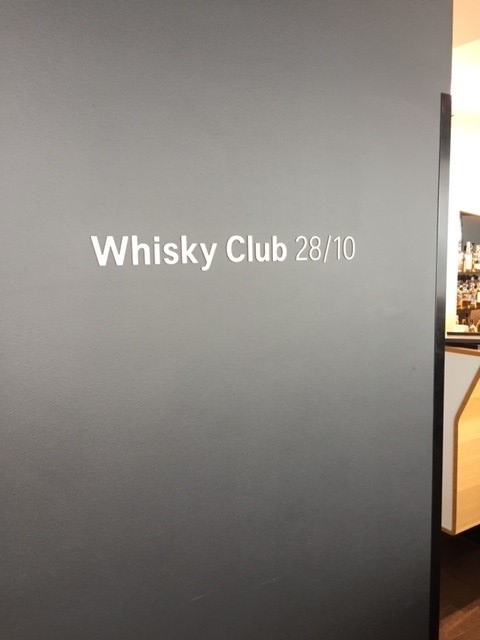 The next time I'm flying out of Zurich, I will leave a lot more time for me to enjoy the lounge! 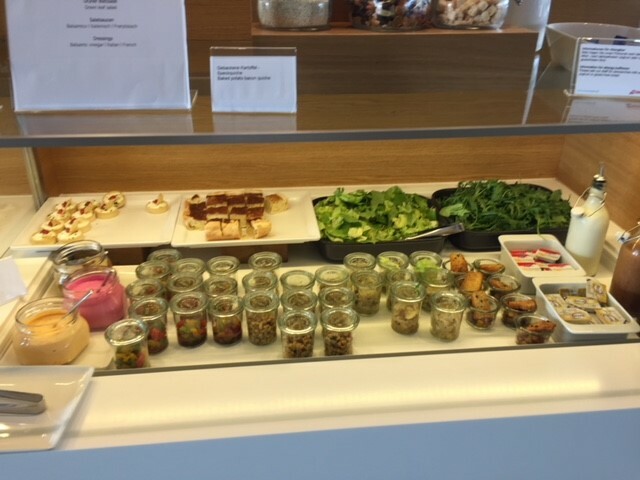 Have you every visited any of the Swiss lounges at the Zurich airport?